This 9 weeks the class and I were each assigned with the task of researching a certain architects biography and architectural style based off of the case study house we received I got the Case study house 1950 (Julius Shulman house) by the American architect Raphael Soriano. We created lots of different parts to the project including a concept drawing, a parti diagram, elevation plan, and floor plan. After all of the work on the assigned case study house we were given the task of creating a pavilion for the Dallas Museum of Art based off of our Architect. We did brainstorms at first by creating pavilion ideas on sketch paper, then we made a model of our pavilion, finally we made a sketchup model of our pavilion. This is the parti diagram I made showing the simple design of the 1950 house. 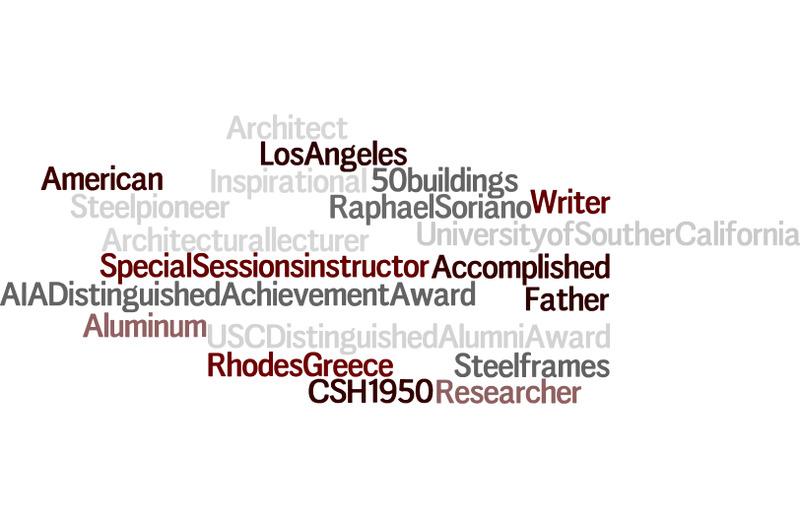 When all was said and done I created a wordle showing what I thought of my architect and who he was. For this project we all drew a urban house at random and were assigned with creating a modern style of that house for our clients, I got the double house or duplex house which was originally created for families to share the cost and co-exist in the same house with a wall separating them. I had some different ideas that would push the boundaries of what a double house was meant to be but in the end make perfect sense to the clients occupying the house. For the first part of this project we were supposed to come up with ideas on sketch paper and a parti diagram for a modernized urban house based off of our client's wants and needs in their house. Since my clients were good friends who worked well together I thought why not make the separating walls in the house that would allow interactions with the two clients in day to day life. Based off of our parti diagrams and our sketches we created a model and an auto-cad floor, elevation, and site, plan of our new house. I tried incorporating the clients and my ideas in my designs the best I could and I really liked the end product. After we presented our projects to the college jury we had to reflect on their likes, dislikes, and opinions of our model and presentation and incorporate it into a sketchup model. The jury thought that I represented my house in a good way but I neglected my clients needs so that is what I added in my sketchup model the second time around.